This legendary Philadelphia radio announcer Jocko Henderson holds the distinction of being the first DJ ever to be broadcast simultaneously in two cities. 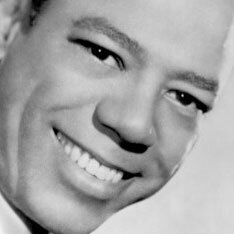 The milestone took place in 1953, when Jocko's show was heard on both Philadelphia station WDAS (1480 AM) and New York City's WADO. Jocko got his start at radio station WHAT (1340 AM) back in 1952. In '53, he switched over to WDAS for the full stretch of his 24 year career. In addition to his on-air talents, Henderson presented and promoted a multitude of rhythm and blues and rock n' roll musicians to audiences at the world famous Apollo Theater in New York and at Philadelphia's now-defunct Town Hall. Henderson developed and recorded the educational Get Ready cassette program for school districts around the country. The program teaches history, math and English through a blend of rhyming and rapping. Jocko Henderson passed away at the age of 82 on July 15, 2000 after a prolonged illness.